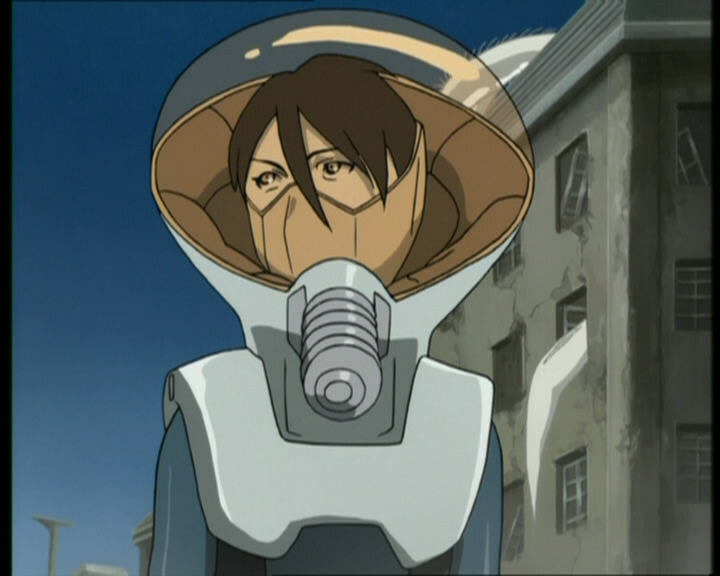 Episode 31 of Eureka Seven marked the moment of first contact and with it the beginning of the alien-centric plotline that appears to define the remainder of the series. The true nature of the human antagonists is shown as Dewey orders a preliminary attack on the Coralians knowing it will fail, in order to make his armies look better when they bail out the beleaguered defenders of the town that is targeted. 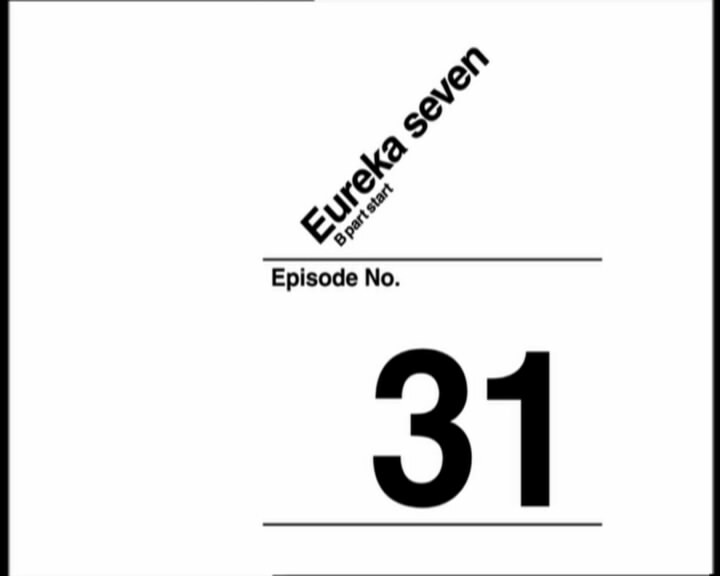 What these revelations serve to do is undermine what has so far been assumed to be the case, and change Eureka’s position within the story. As the apparent emissary of the Coralians, she has remained distant from humanity’s main interaction with them; her relationship with Renton and Holland has emphasised, in its own way, the importance of family and love. Meanwhile, the apparent diametric opposite of the protagonists (in the form of the Federation, Dewey and Anemone) makes its first move against the Coralians with force. 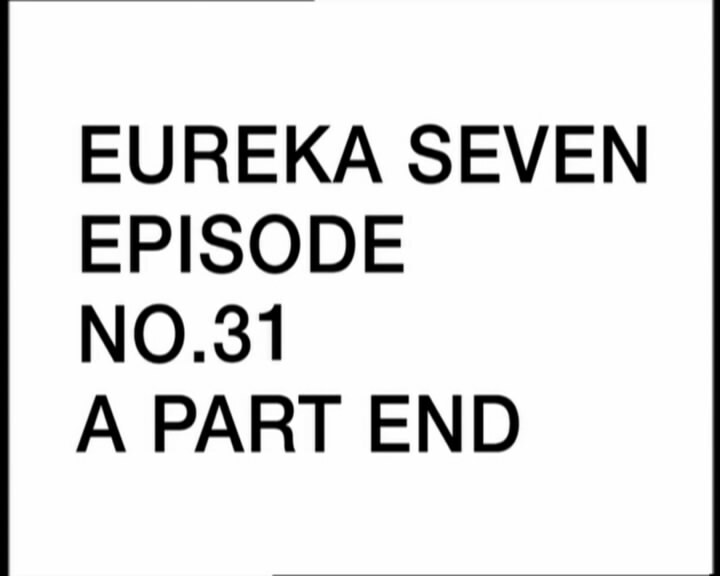 With the second half of episode 31 of Eureka Seven, the real nature of the series’ apparent antagonist is shown. Dewey – who has previously only been seen as a perversely parental equivalent to Holland – and Koda are speaking about the nature of the world and it is framed in similar language to that of William Baxter. The implication is that the planet on which the story is set was colonised by some space-fleet and populated in accordance to a grand plan, but now an indiginous entity – represented by the Coralians as Egan has alluded to in the first half – is fighting back. The identity of the Ageha unit is revealed as well – child soldiers similar to Anemone but apparently without the addiction to drugs and insecurities that she shows. They are consummate soldiers, obedient and amoral. Well, today is Memorial Day in America. If you’re not from America, what that means is A: it’s the ritual opening of the summer season, as compared to the astronomical/meteorological beginning next month. B: people are cooking out everywhere. C: it’s the holiday for recalling the actions and sacrifices of soldiers – it was originally the day of celebration for the treaty that ended one of the World Wars, I think the first one. Many families use it as their family reunion date, and do more or less military-themed stuff as they prefer. Why does this matter? Well, other than my assumption that many of you will actually see this tomorrow (Tuesday), I also thought it would be the best opportunity/excuse I had to finally write about something I’ve been thinking of – game series and their critics. That’s vague. Let’s say, games like Mario and Zelda and their critics. That’s, uh, a little better. There is an ongoing tension by this point in Eureka Seven between the desire for normality – and the concessions that must be made to make this happen – and the repercussions of the traumas that the cast have encountered. Too much has changed for there to be any hope of the life that anyone initially wanted; Holland cannot have the life with Talho and Eureka he desired now Renton has entered the scene, Renton will not get his naïve dream of a fun life spent with sportsmen and rebels. How this has manifested is in an increased sense of responsibility, shown perhaps most clearly in Talho’s change of image. Her more modest outfit and short hair is a simple visual cue of “seriousness” – she is not the casual, figure that she was before but instead a mature adult. 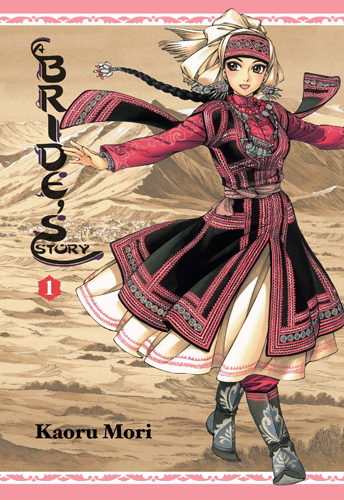 & thus I unexpectedly embarked upon a multi-post journey through the volumes of Kaoru Mori’s A Bride’s Story. If you are unfamiliar with the overall gist, here it is: 19th century clan in central Asia sends girl (Amir) to wed boy (Karluk) from another clan in another town. Amir is eight years Karluk’s senior, which they both discover the day of their wedding. Life ensues. To those who don’t know about the site’s unofficially official mascot, The Beard is just that; a mass of facial hair grown to proportions most of you don’t like to see, let alone discuss about. But to us it is the catalyst of mankind and his inner workings. Each strand’s length and tensile strength chronicles humanity’s evolution and its plethora of thought processes, masterfully managed by the blessed man that lets the balance hang in the glorious chin of his face. When internal fanfiction becomes external professional fiction that’s still, uh, fan-oriented, uh, wait, what? Adventure Time!